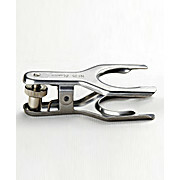 Pinch Clamp, Stainless Steel, Synthware, Various sizes available. 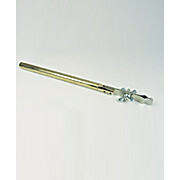 With rack on shank for breaking off single or double strength glass, extra large natural diamond for durability. 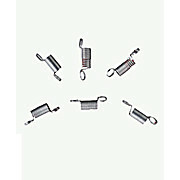 Joint Spring, Stainless Steel, Synthware, Coil Length: 6.35, 25.0 and 32.0mm available. 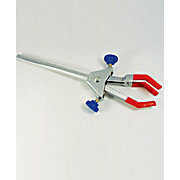 Joint Clamp, Standard Taper, Plastic, Synthware, Various Joint Sizes Available. 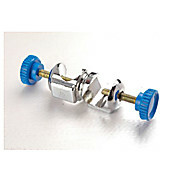 Clamp Bosshead, Synthware, For rods up to 15mm diameter, chrome plated finishwith plastic headed screws. 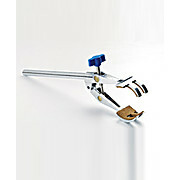 Clamp, Four Finger, Synthware, Accepts articles up to 80mm, Die cast alloy with Ni/Cr plated finish and cork lined interlocking jaws. 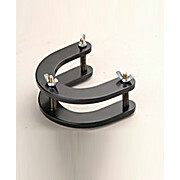 Horseshoe Style Clamp, Synthware, Available for 57mm or 80mm flange sizes, manufactured from aluminum with black epoxy coating. 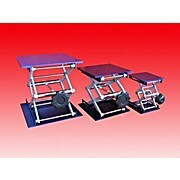 Aluminum support jack. various sizes. 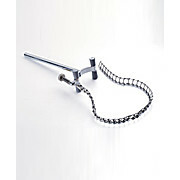 Chain Clamp, Synthware, For diameter from 80mm to 150mm, with chain and spring. 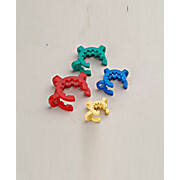 Manufactured from chrome-plated zinc alloy, with PVC coated prongs.